Skin: the body’s largest organ that requires the most care to stay healthy but typically receives the least. 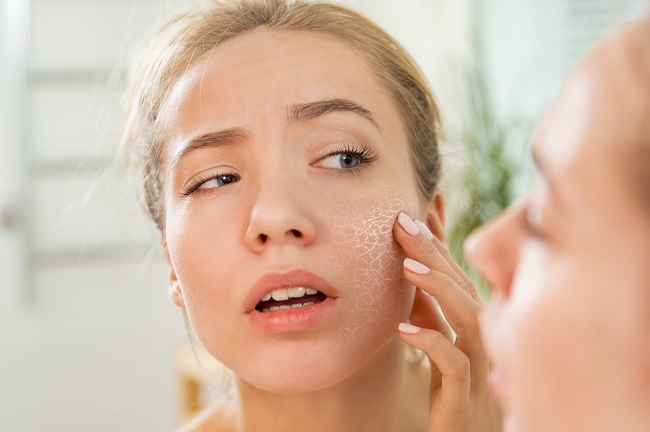 With hectic schedules and constant demands, the average person does not have an adequate skincare routine to help keep the skin healthy and youthful as well as slow down the skin’s aging process. If you are dealing with these issues, read on to find out common causes of premature skin aging and how to stop them. Most people have heard it before; no tan is a “healthy” tan. Tanning exposes the skin to unhealthy ultraviolet rays that penetrate deep below the support structure of the skin and damage it. Sun exposure without adequate protection is just as bad as it allows UV rays to penetrate and cause wrinkles, skin damage, and in some cases, skin cancers. Always use sunscreen when going outside on the face, neck, and any other area of the body that isn’t covered by clothes. Try wearing long sleeved shirts and pants in breathable fabrics to get the most coverage and protection. Tobacco use is not good for your body, your brain, your skin, or your overall health. Cigarette smoke and the chemicals inside a cigarette severely deplete your body of oxygen and nutrients it so desperately needs. The chemicals and lack of nutrients can cause uneven skin tone, sagging skin, and lack of elasticity, amongst other things. The body is made up of 70% water so it’s no wonder a lack of it would cause the skin to age. Poor diet with minimal fluids plays a huge part in lackluster skin. Adequate water consumption coupled with a healthy diet chock full of various vitamins and minerals is one way to ensure your skin stays healthy. Using harsh products and caking your face and neck in products can suffocate your skin, causing wrinkles and fine lines to appear early in life. Try to stick to all-natural, breathable makeup and be sure to wash it off before you go to bed. Doing so can aid in revitalizing your skin and helping it look its best. Shelley’s Day Spa & Salon is committed to your comfort and satisfaction. Visit our website or contact us today and we’ll help you figure out what spa service is perfect for you!